Shawm House is located in North Northumberland on the border of the National Park. The project has successfully gained planning permission in what, in planning terms, is considered ‘open countryside.’ This rare achievement was due to the clients’ desire for an outstanding piece of architecture that would create an accessible, comfortable, highly energy efficient home, using local and traditional materials in a contemporary way. Shawm is an old Northumberland term meaning ‘to warm oneself’ and the house uses a simple form which is ‘wrapped’ a super insulated blanket cladded in larch. Working closely with the client the project is an exemplar of contemporary sustainable design and aims to use Passivhaus principles and innovative construction techniques such as brettstapel (dowellam) – a mass solid timber frame using dowels to lock the sections together – a first in England using home grown timber. 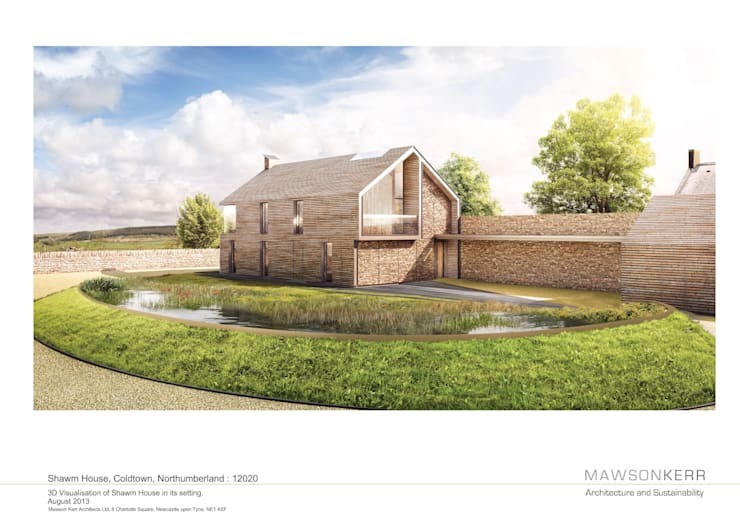 The new build two storey element sits on the footprint of a demolished barn and connects to the existing single storey barn which will be converted into sleeping quarters and home office. The house maximises the views over the valley with the large open plan living space on the first floor. 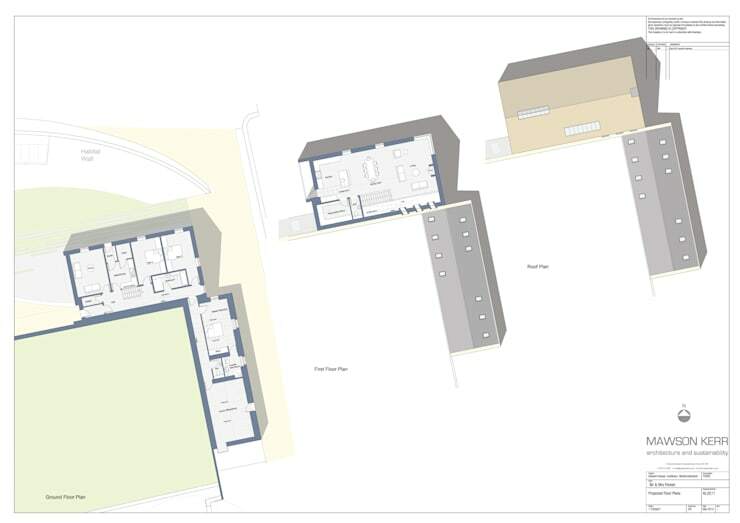 To the ground floor are further bedrooms and study which open out to the landscaped external space incorporating a rain garden and habitat walls.